I will be studying and teaching through the book of Galatians during the summer. As I work through the book I plan to share observations and thoughts. Paul wrote the letter to the Galatians in order to deal with some teachers who arrived some time after he left. These teachers were distorting the gospel that Paul had preached and had introduced the churches to the idea that “real” Christians must be circumcised and follow the Mosaic Law. Their teaching had persuaded many in the church to adopt this view. There is some debate as to whether the letter to the Galatians was directed to churches in the north or the south of Asia Minor (modern day Turkey). The information available points to the probability that the latter (Southern Galatia) is correct. This would mean the recipients of the letter were the churches that Paul planted on his first missionary journey (1MJ). The letter was likely written from the city Antioch around 48-49 AD. Antioch was Paul’s home church. It was where he taught and ministered before and after the 1MJ. It was this church that confirmed his role as a missionary to regions beyond Judea and Samaria (Acts 13:1-3). Prior to Paul writing the letter, teachers arrived in Antioch bringing with them their case for following the Mosaic Law, which was the same issue that confronted the churches of Galatia. Paul was a man of action and great conviction and engaged these teachers in what must have been heated theological debate. 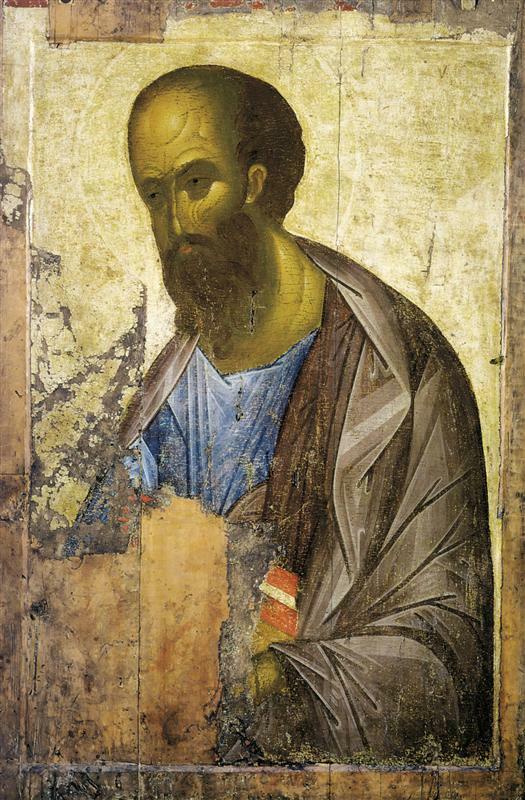 This issue over whether following the Mosaic Law was required to be saved was also prevalent in the city of Jerusalem, even within the communities of the apostles (Acts 15:4-5). 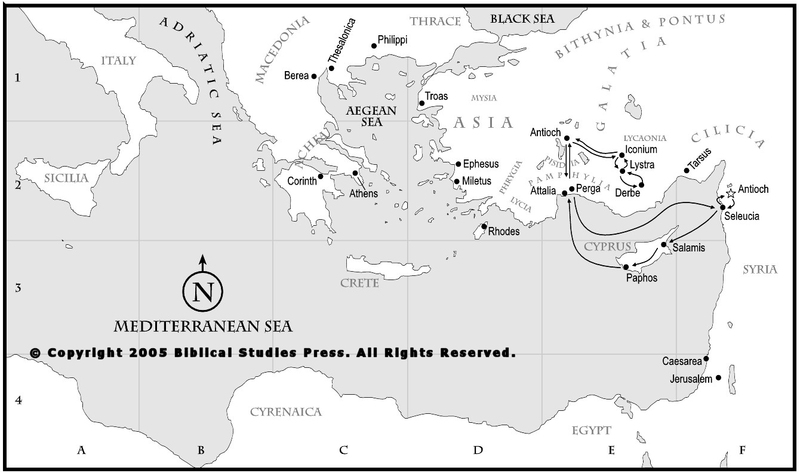 Surveying a map, that would mean that this teaching regarding circumcision and the law was not a localized problem (in Galatia) but had spread throughout the entire region where the gospel of Christ was preached. And it was causing disunity and dissension in the churches. The teachers, were not denying that Jesus was the Messiah of Israel or that He had died and been raised from the dead. If they had it would be unlikely that Luke would have called them ‘brothers’ (Acts 15:5) or that they would have had much influence within the churches. However they were contradicting the gospel that those at Antioch had brought with them when they fled Jerusalem amid the Jewish persecution of Christians. Ironically this persecution was directed by Paul who was then called Saul (Acts 8:1; Gal 1:13). As Paul was engaging in this debate and watching the unity that Antioch enjoyed be shred apart he was (probably) informed that the problem had spread to the fledgling churches in Galatia as well. Paul knew that these new churches did not have mature and capable leaders, like he and Barnabas, to confront the arguments of these teachers and sat down to write the letter. In the dealing with the theological issues of the day, Paul exhibited the famous quote ‘in essentials, unity; in non-essentials, liberty; in all things, charity’. Here are 4 observations on theological debate that we can learn from Paul. Paul probably listened and understand the point of view of those he disagreed with. After all Paul was Jewish, schooled as a Pharisee, and known as an expert in the Law so he was able to grasp the nuances of their theological view (Gal 1:14). This enabled him to effectively debate the teachers and deal with the issues caused by what these teachers taught (Acts 15:1-4; Gal 2:15-4:7). If Paul had built a straw-man out of their teaching and then dismantled this rather than deal with the actual content he might have drawn some cheers from those who agreed with him, but he would not have been as effective at helping those who were struggling to determine which point of view was correct. Nor would he be able to help these teachers understand where they went astray so they might repent (2 Timothy 2:24-26). Paul strongly defended the gospel against distortions without yielding for a moment (Gal 2:5). But we must also remember that Paul was a Pharisee who studied under Gamaliel (Acts 22:3; Gal 1:14 ; Phil 3:4-6) and was zealous for God and the Law. He was a persecutor of the Way (Acts 22:4-5 ;Gal 1:13). However, when Paul was confronted with Jesus and the truth he had a choice to make. He could remain entrenched in his position regarding the Messiah or accept Jesus and follow Him. Not many will have the convincing proof of a personal visit from Jesus the risen Lord to help correct a wrongly held theological position, but the principle is one we can still learn from. We must be humble enough to examine the positions we hold and give them up when another position is more probable and defensible as being correct. We are called to live in peace and unity with each other (Ephesians 4:1-4; Phil 1:27). In order to do that we must accept the fact that we will have differences of opinion on various theological matters (Romans 14:1). When we have differences over non-essentials we must work hard to preserve unity and not cause stumbling blocks. However we are also called to ‘contend for the faith’ (Jude 1:3; 1 Tim 1:18-19;6:3-5) when the essentials – like the gospel – are being distorted. Of course wresting with what is essential and what is a non-essential is tough. I highly recommend this post from the Parchment and Pen blog to help evaluate where different issues might fit. As Paul returned to Antioch after the 1MJ he must have been optimistic and excited about the new churches that were planted in the area of Southern Galatia and the new believers that made up these communities. Just a few years later, as he writes the letter to Galatians those feelings have been replaced by angst and confusion. Paul is not concerned with winning the argument as much as he is with winning souls and helping people grow in Christ. Paul is surprised at the way the Galatians have adopted ‘another gospel’ and abandoned Jesus and he pleads with them throughout the letter to seriously consider what he has to say and to adopt the gospel they received during the 1MJ. The concern, emotion, and even frustration all come through as one reads the letter since Paul understands what is at stake when the gospel is distorted and corrupted. What else might we learn from Paul on how to handle theological debates? This entry was posted in Gospel, Theology and tagged Essentials, Galatians by MikeB (@AnAgileJedi). Bookmark the permalink.